We saw Google Play Music begin to offer scan and match in Europe when it launched there last month, and now the feature is finally making its way state-side. So, US Google Play Music users will now be getting the scan and match feature, but best of all is always the Google pricing: free for the first 20,000 songs. Word has come that Google has secured the necessary deals with record companies in order to analyze your music library and match it against the company's own digital catalog. Starting today, new uploads to Google Play Music will happen instantaneously because of the new scan and match feature. Google is also planning to roll out scan and match to existing customers over the next few weeks and automatically replace the songs in your library. The only trouble is that early reports say that the quality of Google's library of tracks can vary, which means that you may not get the best version of the music that you want. Of course, if Google can't match the song you've got, it will still upload manually. Scan and match is something we've seen before from both Apple and Amazon, but the killer feature of Google's offering is (as usual) the price. Amazon charges $24.99 per year once you go over 250 tracks, and that cost will hold you up until 250,000 tracks. Apple also charges $24.99 per year, but that only gets you storage for 25,000 tracks. Meanwhile, Google won't charge you anything at all for the first 20,000 tracks in your library, but Google doesn't yet have an option to purchase more storage beyond that number. Would be awesome if Google slowly increases it exponentially like they did with Gmail. I believe Gmail started off with 1 GB and now its up to 11 or something like that, LOL. Do people really have over 20,000 songs? And I'm talking average people, not DJs or something like that. Absolutely. I have close to 40,000 songs and I've never DJ'ed a day (or night) of my life. 40 years of collecting and I've converted most of the collection to mp3. Looking for an 8-track player with a USB port. I've only got about 10,500 on my Google Music. Yeah, I've probably got at least 4 or 5 days worth of music that I haven't even listened to yet. I've loaded all my A to R bands from roughly a 1000 CD collection and it's just over 8500 songs and 26 days of continuous play so far. 20k songs is a massive CD collection! I really like Google Play Music only for the simple fact that I can upload my own music. I only upload the most recent songs (songs from 2010 to present), but there are some old classics in my collection as well. Most of my favorite music is in Spotify, which is about a collection of over 1,000 songs. I have 2,977 in my Google Play Music account at the moment. I should be good for awhile. I've got 8k in my Google Play Music account as of the day I got my DNA, that's more music than I can shake a stick at. Although at home I have a server with about 800GB worth of music and video. Not sure I'd accumulate over 20,000 songs I would even want online that I would want to sift through, but that's not a bad number at all. I love the tab feature to keep music I want on the device works so quickly and quietly. I for one never thought that who cloud thing would be anything nice, but it's pretty handy to have at your disposal, so you can be anywhere with a data connection and grab a tune from your library. Does this check allow you to scan your library before scanning the play store for songs? This is my first post so be gentle. I'm curious how this service works. I let Google scan my HDD's and it finds itune files and mp3 that I have stored? So a virtual account (cloud) is built with all the files I've purchased over the years and groups them into one locker? What if I want to DL a song onto my flash drive for my truck mp3 player? How's this going to work if the original file was an iTune? You've got the basics. 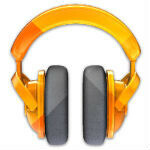 Google Music will scan your computer and match the tracks you've got to store them in the cloud. Then, you can stream them to an Android device, and you can also store music locally for offline playing using the Google Play Music app. You can download a song, but there is a limit to downloading single tracks or albums. You can only download individual tracks or albums 2 times. But, you can download your entire library as a set as many times as you want.